The end of school is near! 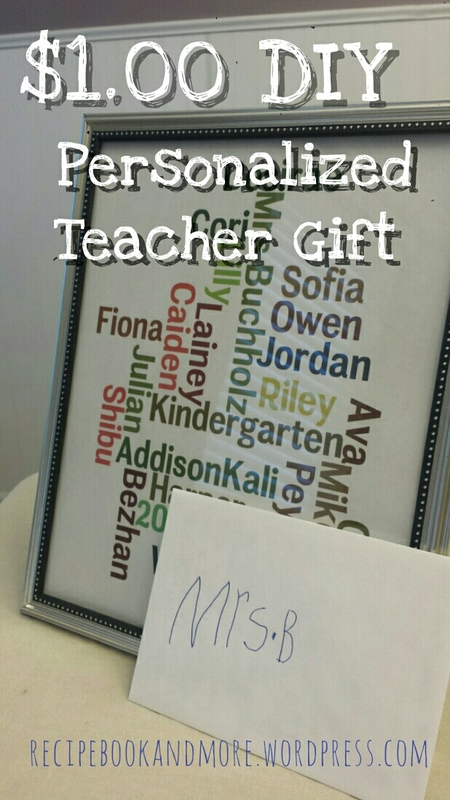 I wanted to give our son’s teacher a personalized gift and ended up creating this for just one buck. I entered the names of classmates, teacher, year, etc., in a web site called Wordle. After choosing the layout and color scheme I printed the image. Then I cut the excess edges of the printer paper off, and framed it in an 8×10 frame that I purchased for $1.00 at the dollar store.